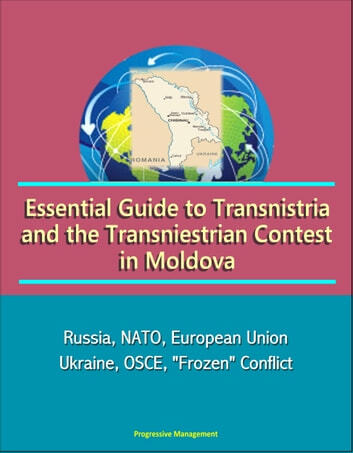 Some scholars have tried to explain the war in Transnistria as an ethnic conflict. Without understating this dimension of the conflict, a closer look to the ethnic realities is necessary. In 1989 Moldovans formed approximately 65% of the country's population. Ukrainians ranked second with approximately 14%, and Russians third with 13%. In Transnistria, Moldovans were still a relative majority (40%), while Ukrainians formed 28%, and Russians 26%. However, the minorities used Russian to communicate. Therefore the claim that the language law of August 1989 provoked concerns among the Russian-speakers is true to a certain extent. This legislative package decided that the state language be Moldovan, as well as that a return to the Latin alphabet would take place. It also stated that language proficiency would be required of all citizens by January 1, 1994 (although guaranteeing the use of Russian and Gagauz at the local level). Nevertheless, unlike in the Baltic States, the requirement for proficiency in the state language was never enforced in Moldova. Other factors appeared to have contributed more to the breakout of the conflict. In Transnistria, the Moldovan national agenda clashed rather with the ideological soviet conceptions and the economic interests of the local leaders. 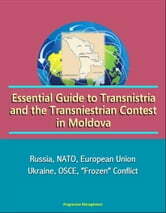 Most of the Moldovan industry was built in Transnistria and therefore it was profitable for its leaders to attempt secession in order to preserve full control of the economic assets. Since the end of World War II, Transnistria has always been seen as a source of reliable cadres for the Moldovan Communist Party. Immediately after 1945, Transnistrian communists were considered more loyal to the USSR than their colleagues from the recently integrated province of Bessarabia. Therefore, in the first decades after World War II, the party leaders in Chisinau usually came from Tiraspol. This situation began to change after the establishment of Chisinau State University and other, local, cultural institutions, as the capital of the new republic was asserting its central political role. Also, the policy of indigenizing the Communist Party from Moldova, started during the 1960s, ensured Bessarabians' accession to the party and state hierarchy, which reversed the traditional situation of the Stalinist period. By 1989, the Moldovan leaders were often from Bessarabia, and were the key players in promoting perestroika and the national awakening movement that emerged at this time. Tiraspol was still an important economic center of the republic, but its leaders feared they would lose their positions as an effect of the reformist movement. Thus, trying to preserve their traditional positions, Transnistrian leaders found themselves fighting perestroika and, later on, the nationalist movement.